Purchasing this item will earn you 4 reward points (Love Point(s) $4.00) ! 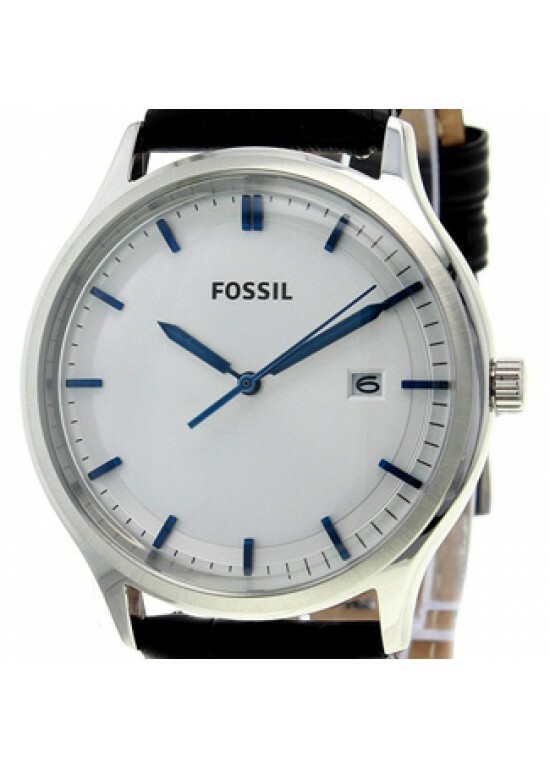 Fossil chic and elegant Fossil Ansel Stainless Steel Mens Watch - FS4671 is a fashion “wow” statement. This elegant and beautiful watch is easily dressed up or worn casually. This beautiful Round Stainless Steel case has a 41 mm case diameter and 12 mm case thickness. This timepiece also has Quartz movement Date Calendar functionality. This Analog Silver dial features. A Mineral crystal protects this beautiful Fossil timepiece. The bracelet of this Fossil Ansel is made of Leather and measures approximately 22 mm in width. The watch clasp type is Buckle. This watch is water resistant up to 50 Meters-165 Feet. Its calendar uses a Date functionality.